Help Advocate Chitra Bhanu Gupta know your legal issue better. Get Advocate Chitra Bhanu Gupta details by SMS and Email. 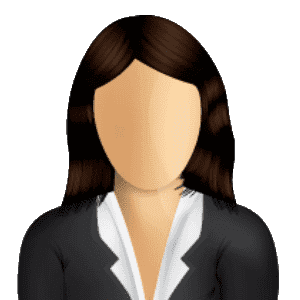 Advocate Chitra Bhanu Gupta has been enrolled in the year 2004 and is having more than 15 years of experience in both Corporate and Government Organisation. Presently practicing as an Advocate / Private Attorney / Consultant, Litigation Expert at the Hon’ble High Court, Calcutta and various District Courts, Tribunals such as Land Administrative Tribunals, Central and State Administrative Tribunals and Forums including the Consumer Forums. Dealing with matters relating to Civil, Criminal, Corporate, Arbitration Land and Real Estate and Finance Recovery Matters. His present Clientele Includes Multinational Giants such as Landmark Cars (Mercedes Benz India Ltd) and SAN Infrastructure Ltd. He is looking after the cases pertaining to the entire Kolkata and surrounding region with regards to Landmark Cars (Mercedes Benz India Ltd) and has been assisting the corporation with his legal ideas and decisions. Apart from this he is also attached as Empanelled Lawyer at Several Banks and Financial Institutions such as Canara Bank, HDFC Bank Ltd and Uttarbanga Kshetriya Gramin Bank dealing with recovery matters and target oriented litigations. Mr. Gupta is also associated with several diversified project sectors such as Sova Solar Limited dealing in the Power Generation Sector and is a constant empanelled lawyer of the West Bengal State Electricity Development Corporation Ltd. To name a few. He is presently the legal advisor of Duranto Footwear Industries Ltd and deals mostly in the recovery issues of the company. 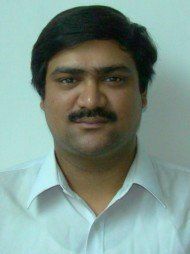 Advocate Gupta has also Represented the Company Pt. Bina Insan Sukses Mandiri in International Dispute at Jakarta, Indonesia with regards to Multi Million Dollars Coal Dispute in connection with the company by appearing at the Jakarta Law Firms at Indonesia. He has even Acted as the Legal Advisor of SPML Infrastructure Limited dealing mainly with Arbitration Matters, and Infrastructure related Legal Issues of the Company. Dealt with many big Ticket State Level Projects including the Arbitration Proceeding relating to a Sensitive project of 31 Crore Bank Guarantee Invocation by National Thermal Power Corporation and other arbitration proceeding relating to recovery of amounts from West Bengal Power Development Corporation Limited and also relating to Recovery of 20 Crore money from Arunachal Pradesh Department of Power in relation with Major Hydro Electricity Power Plants. In his early years he has been associated with the Government Legal Sector at West Bengal Industrial Development Corporation thereby handling several sensitive Government Projects dealing with many big-Ticket State Level Projects. He has recently successfully settled a case pertaining to a motor giant Maruti Suzuki India Ltd. Before the National Consumer Commission at New Delhi. Advocate Gupta has obtained his graduate degree from the University of Calcutta. Besides this, he also holds a Post Graduate Degree in International Business Laws and a Certificate in Computer Application. •	Land and Real Estate Litigations including the litigations before the West Bengal Land Reforms and Tenancy Tribunals. •	Property Related Legal Assistance Including the conducting of searches before the Various Registry Offices, BL & LRO and to the District Level, providing reports and conducting Registrations of properties. •	Cheque Dishonor Recovery through Litigation. •	Insurance Related Matters and recovery of Insurance related Claim cases such as Mediclaim, or Personal Accident Claim cases and other matters relating to the settlement of Insurance claims. •	Consumer Forum Matters relating to the settlement of consumer disputes and redressal of grievances and settlement of claims arising thereof on District Forum, State Commission and National Commission. Recovery of dues. •	Arbitration Matters, mediation and assisting in out of court settlement. •	Financial Litigations and DRT Matters under the SARFAESI Act and SFC Act. Advocate Gupta has a wide experience in appearing before various tribunal and is a well known seasoned advocate before Hon’ble High Court, Calcutta and other Tribunals such as Land Reforms And Tenancy Tribunals and The State Administrative Tribunals. He is a regular in the District Courts in and around the state of West Bengal and also deals in Consumer Forums and other forums. Outside his home state, he is a regular advocate who has already dealt with cases at the Delhi High Court, Gurgaon Courts and other Courts of the country at Guwahati (Asssam), Hyderabad and many more. Advocate Chitra enrolled with the Bar Council of India (West Bengal) in 2004. He is a member of Calcutta High Court Bar Association and High Court Club. The lawyer was an expert in my legal issue. The lawyer gave me the right guidance. The lawyer helped me in taking the right decision going forward. Very efficient lawyer, just what I needed living in London to pursue a bank staff siphoning off my money from my account. The lawyer was an expert in my legal issue. The lawyer gave me the right guidance. The lawyer helped me in taking the right decision going forward. Excellent lawyer, is proceeding with my case to the Consumer Court in Kolkata. Gives me every confidence that he will conclude my case successfully. First of all I would like to compliment LawRato on their exellent and commited service! I had booked a phone consultation with Mr. Gupta, since I needed advice on how to proceed after I had received divorce papers from my husband in India. Advocate Gupta was very helpful. He patiently listened to me and answered all my questions. He also took the time to go through the divorce papers and give me advice via e-mail. I can strongly recommend this lawyer. Mr Gupta is very effective and transparent professional lawyer. It is a privilege to have our case handled by him, which in turn resulted in actions on right direction. So far satisfied, Adv Chitra Bhanu Gupta has now given an appointment at 10:00 AM on 12.10.18 at Kolkata for detail discussion. I shall update after the meeting. Short precise and very nice explanations provided. He is such a knowledgeable advocate who listens to you patiently and answer your querries to the point without keeping monetary gains in mind. He is really a genuine advocate who makes you feel that he is there with you to sail through this situation. One of the best knowledgable and non money minded lawyer who gives genuine advice. Have spoken with multiple advocates before speaking with Advocate Gupta and found him as a very knowledgable and more importantly helped in understand in a very simplistic manner the way ahead. 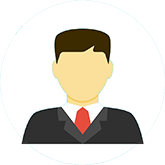 I feel he guides his client without the monetary aspect in mind and a very straightforward yet amiable personality.